Many legends deal with his walking staff from Gingko tree wood, 杖銀杏. He also used various staffs and sticks from other material, even bamboo. He would hit the ground with his staff to produce wells, springs and even hot springs. In former times there was a Dragon Shrine 龍神社 in the middle of the swamp. 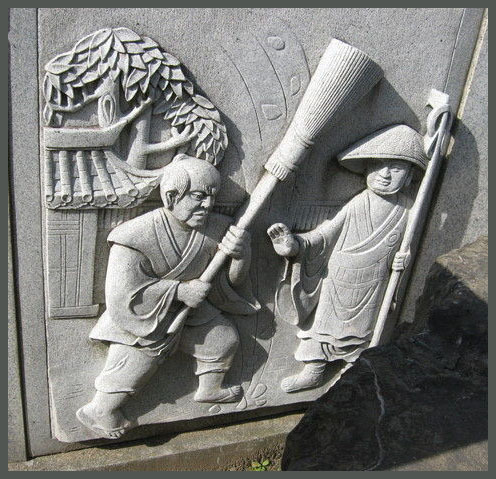 Kobo Daishi got rid of the reeds by hitting the with his staff, so now they are one-sided. He drained the swamp and now there are green fields.
. kataha no ashi, kataba no ashi 片葉の芦 One-sided Reed . 弘法大師御加持水, ritual water from Kobo Daishi or kusurimizu 薬水 "medicine water". When he hit the ground, a well came forth and also a "green tree", maybe aoki, ミズキ Cornus controversa. The water has healing powers for all kinds of diseases. And the Jizo is known for healing all kinds of diseases from the hips down the body. 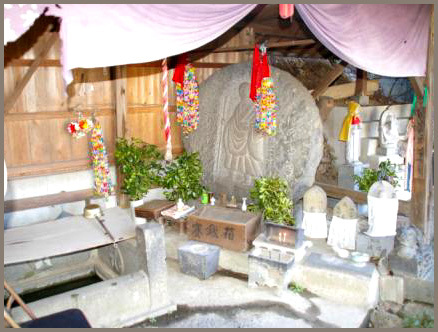 There is a boulder which Kobo Daishi had touched with his staff. If people touch it now, they will hurt themselves. 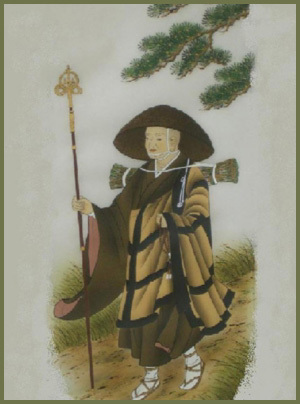 Kobo Daishi rammed his 杖銀杏 walking staff from Gingko tree wood into the ground and a tree began growing. If women prayed here, they had enough milk to feed their babies. The hot spring 杖立温泉 Tsuetate Onsen was founded by Kobo Daishi, when his bamboo staff took roots. It is now called 逆杖の竹 "upside down bamboo staff". When Empress Shinko went on an expedition to Korea, she was pregnant with the child of Emperor Chuai who had just recently died. As soon as she retreated to Munakata in the Chikuzen region after the war, she went into labor. A gray old man then appeared and said to her, “Follow the river in a southeastern direction, and you will see a magical spring. Draw water from the spring, use it for your baby’s first bath, and it will extend the life of the Prince until he is 1000 years of age.” Then he disappeared. Hearing this message, her squire went over jagged mountains and found the steam coming off the spring in a big rocky cavern. He drew water from the spring, brought it to the Empress and dedicated it as her baby’s first bath. The Prince was born. 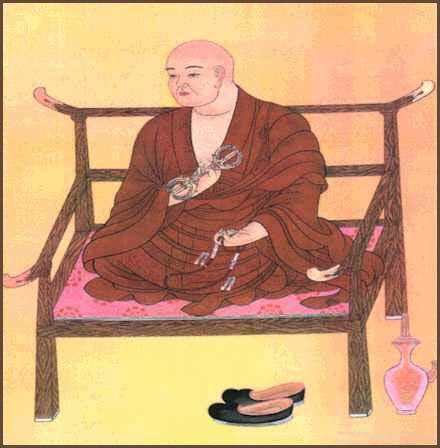 It is believed that the Prince later became known as Emperor Ojin. This story is the origin of the name Tsuetate (Tsue means a stick, tate means remain). Addition to this story, another origin is that the sick or elderly people visited the area with their sticks (tsue) for the hot spring cure, but they left (tate) their sticks after they took a bath. The villagers in Shimoi were very poor. 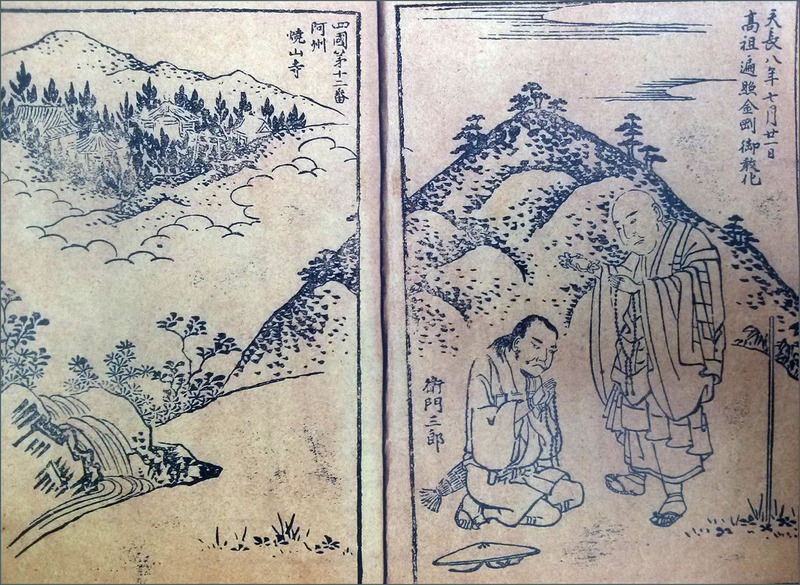 So Kobo Daishi struck the ground with his 銀杏の杖 staff of Gingko wood and opened a well sprouting salt water. Salt became the new income of the villagers. When Kobo Daishi Kukai visited 日光登山 Mount Nikko he planted his staff in the ground at Higashi Oashi village. 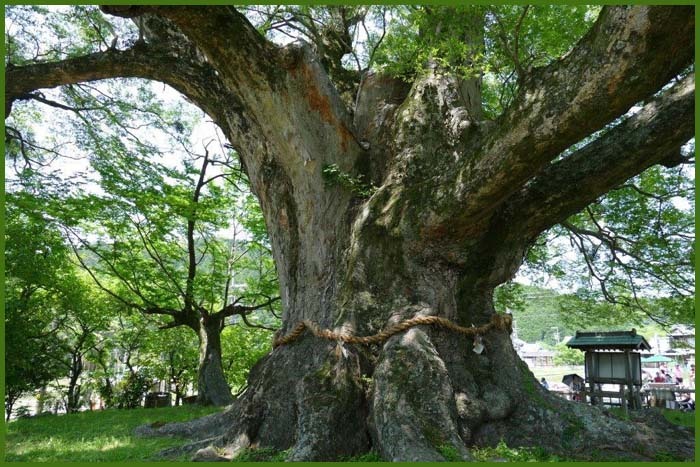 It grew to a large keyaki 欅 Zelkova tree.
. tsue 杖と伝説 Legends about the walking staff . 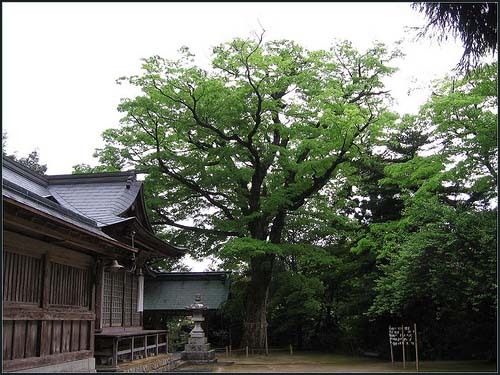 Keyaki is a very special tree, often venerated as a ritual tree of the gods, 欅神木 shinboku. is a species of flowering plant native to Japan, Korea, eastern China and Taiwan. It is often grown as an ornamental tree, and used in bonsai.
. 箪笥 Tansu: Traditional Japanese Cabinetry . Many are made of Keyaki wood. The wood is very strong and was also suited for making wooden nails, which were used by the traditional carpenters. In the autumn of 1817 a huge Keyaki tree suddenly fell down and in the hole in the ground a 石櫃 stone sacrophagus appeared. From inside there was a voice heard reciting the holy Sutras and ringing a bell. This must have been the Saint Ascetic who was burried there alive about 150 years earlier. The long line of visitors coming here to pray lasted until the winter of that year.
. Sokushinbutsu 即身仏 the Living Mummies of Japan . 土定 (dojoo) - Others offered their life in a fire 火定 (kajoo) or in water 水定 (suijoo). 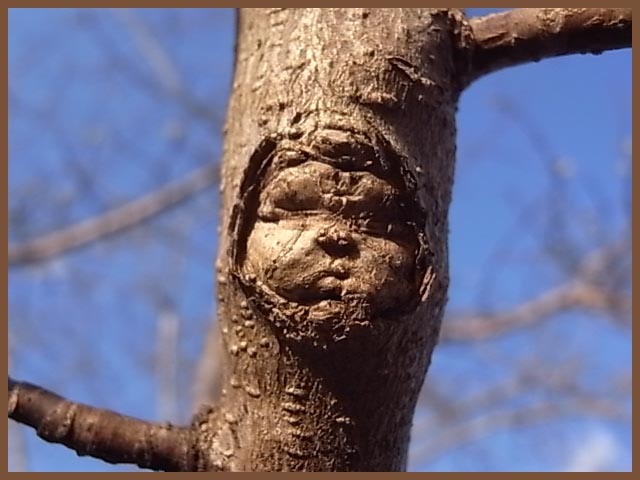 There was a Zelkova tree surrounded with Tsuta ivy, venerated by a family nearby. In 1951 this tree was felled and soon after the family died out. Once there was a Sake brewer in the village. At night, from the nearby Zelkova tree, a 天狗Tengu sneeked in with a paper lantern and begun to drink the new Sake, slurping happily. When the brewer heard this sound, ne knew that he had made a good rice wine that time and was grateful to the Tengu. tsurube otoshi 釣瓶落し "throwing a well-bucket"
Once there was a large Zelkova tree and when someone passed it by night, a well-bucket fell down from the tree top and hurt the person. So to our day it is called the "Well-Bucket Throwing Tree" and people do not dare to pass here at night.
. nichibotsu　日没 sunset, evening sun . CLICK for Keyaki trees from Fukui ! and protect a village from evil influence. These trees are not to be cut. If someone cuts them they will leek red blood and moan and groan like a wounded human. In the East in the Keyaki tree 東にけやき. At the local shrine of Hatcho village there lived a strange monster called Dadabo , which would often eat children. So the villagers asked 中井坊 the blind priest Nakai to drive away the monster. The blind priest placed a すり鉢 mortar on his head, grabbed a howe and a mallet and went to the Shrine. He threw the monster into the mortar and hit it with the hoe and mallet until it begun to bleed and run away. Next morning the villagers followed the blood and game to a hole under the Zelkova tree near the shrine. They found 古狸 a bleeding tanuki badger without much hair. They killed it and made some Tanuki soup out of the meat. From that day on, the monster never showed up. A few years go someone found a straw doll hammered into the stem of the Zelkova tree in the shrine compound. That is quite astonishing for our century. And then found him sleeping in the store house. He told them he had been caught by a Tengu and spent the time as prisoner in the branches of a Zelkova tree. Eventually the Tengu had let him down. Saba and Tengu comes with more legends on its own.
. Bishamon-Ten 毘沙門天 Bishamonten (Vaishravana) . 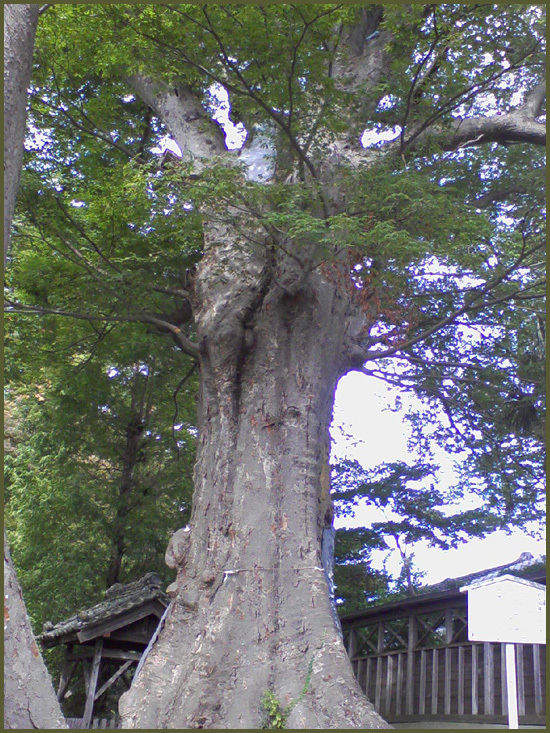 There is a keyaki 欅 zelkova tree in 亀岡市 Kameoka that was planted by Abe no Seimei. If people want to cut it or hurt it, they will be cursed. On a hill near the 阿弥陀堂 Amidado hall there were the huge roots of a Zelkova tree. People say that the gibutsu 御物 imperial treasures of 安徳天皇 Antoku Tenno are burried here. Many woman come here to pray for an easy birth. At the shrine of the hamlet Kanori 叶里のお宮 there is a Zelkova tree that should not be cut down. But then a villager tried to cut it down anyway. The tree begun to bleed red blood and the man died soon.
. kimon 鬼門 "Demon Gate" in the Northern direction .
. Nakayama Jinja 中山神社 . Once the farmers wanted to cut down a large Zelkova tree in the forest. A nearby 藤 wisteria tree became so sad about the loss of its companion that it was howling and then begun to have blossoms, right in the middle of winter. The owner of the tree wrote a peaceful Waka poem on a slip of decorative paper and fixed it to the wisteria tree. The wiseria then stopped flowering and they could finish their work. 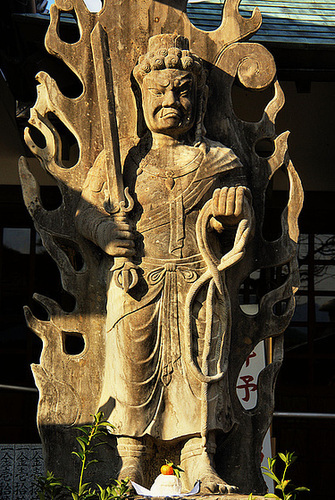 Yama no Kami 山の神, the deity of the mountain, had become angry, the farmers thought. When Kobo Daishi Kukai visited 日光登山 Mount Nikko he planted his staff in the ground at Higashi Oashi village. It grew to a large Zelkova tree. In former times, when the 滝山城 Takiyama Castle was lost, the cut-off head of the Lord of the castle rolled down to the Zelkova tree and then jumped up to bite in the head of the victorious Samurai. Since then the soul of the cut-off head resides in the Zelkova tree and sometimes comes down to bite people. Once the head bit a man into the leg and the scars were seen and never healed. A learned man said it was the Yokai monster Jinmensoo 人面瘡 Jinmenso and suggested to offer it some おにぎり rice balls to eat every day. And indeed, after two months, the wound healed.
. Nerima 練馬区 and the shrine 白山神社 Hakusan Jinja . Once a 天狗 Tengu lived in a large Zelkova tree with two stems. When he went out to work he prayed to the tree to let him go safely. When he came back at night he gave thanks in prayer with folded hands.
. Nagata Jinja 長田神社 . 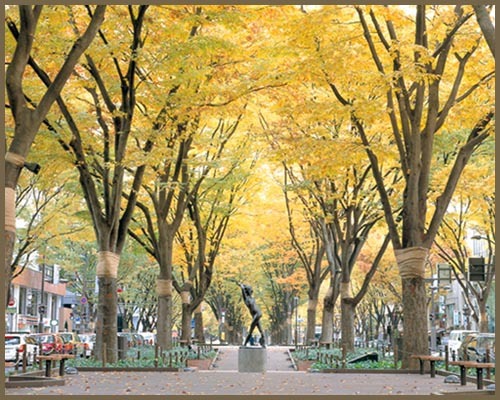 Once there was a Zelkova tree of more then 2000 years (樹齢数千年の欅). But one day the villagers tried to cut it down. That night 怪僧 an strange monk appeared and killed all men who had helped. 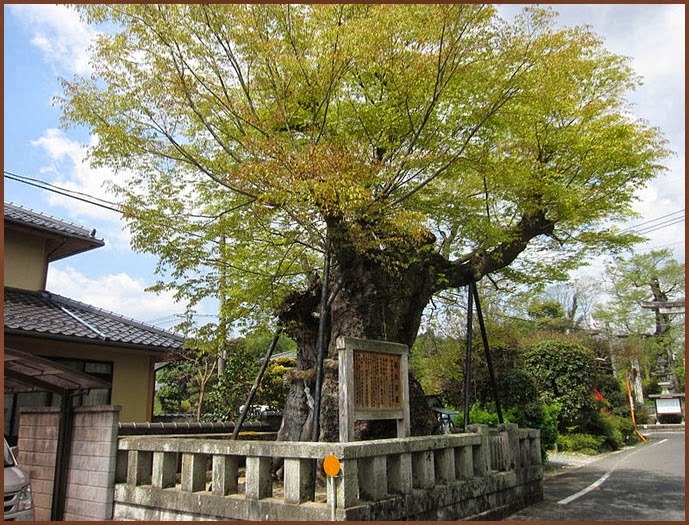 This Zelkova tree is the seat of a great deity 大神様, where the God comes to rest. 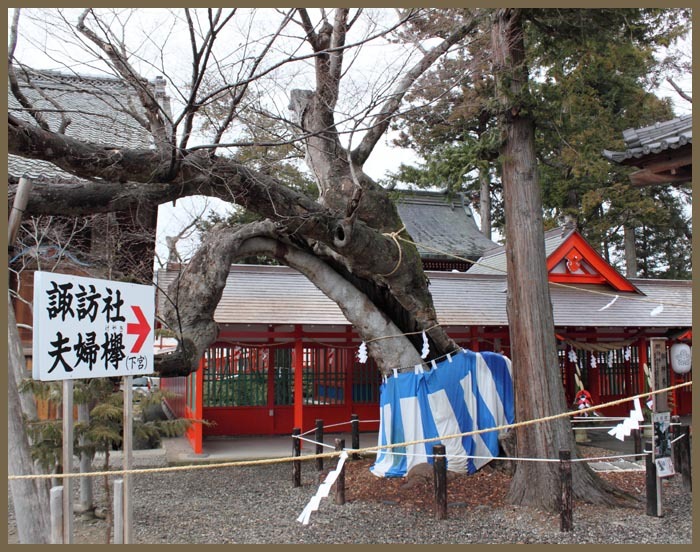 meoto keyaki 夫婦欅 "husband and wife Zelkova"
At the Suwa Jinja shrine of 日野春村長坂上條村社 there are two Zelkova trees. The one on the left side is the 婦木 Wife, the larger one on the right is the 夫木 Husband. The bark of the Husband Tree is very rough with many warts. People come here to wipe the warts with a 紙縒 paper string, and then their own イボ warts, to make them go away.
. Tada Chimako 多田智満子 (1930 - 2003) .
. Legends about trees - - 木と伝説 .
. tokko, dokko 独鈷 Thunderbolt, Vajra . (gokosho, 五鈷杵 gohoo kongoo, gochi koomyoohoosho ; S: panca-suucika vajra, panca sanku) Fünfspitziger Vajra. - and many other variations.
. Kōbō Daishi Kūkai 弘法大師　空海 - 伝説　Kobo Daishi Kukai . 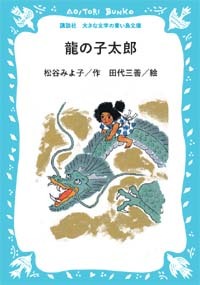 O-Koozui お香水 O-Kozui, "fragrant water"
. 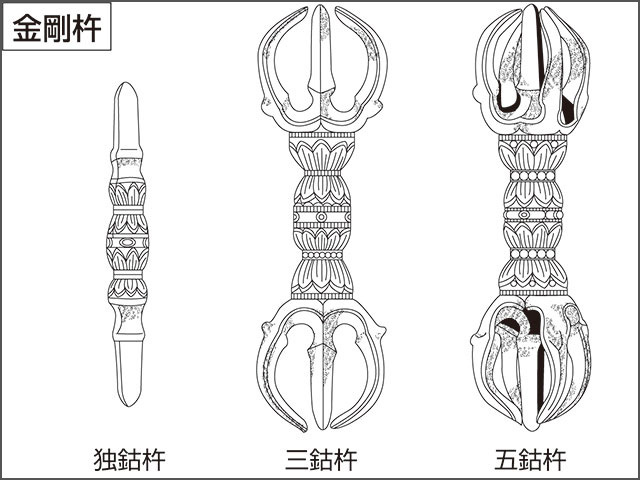 sanko-ken 三鈷剣 "three-pronged vajra sword" . At the temple Yoorooji 養老寺 Yoro-Ji thre is a special spring, the 独鈷水 Tokkozui, which never dries out, even in the worst drought. Once En no Gyoja came to this area on this way from 大島 Oshima and hit the ground with his magic 独鈷 Tokko . 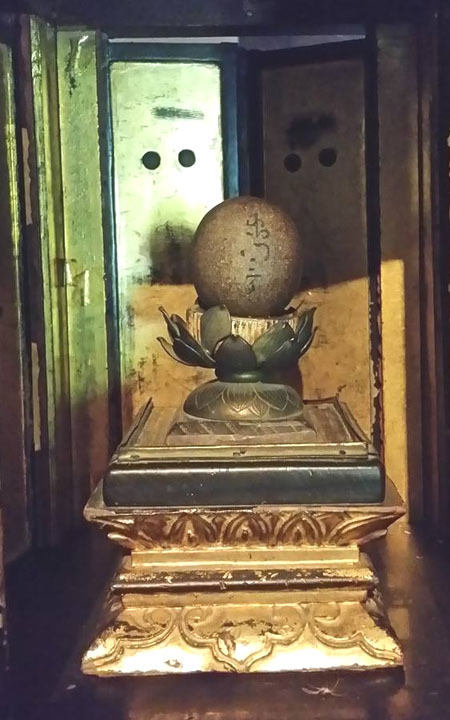 there is a stone in the form of a 独鈷 Tokko, which looks very much like the real thing. But now it is not there any more. 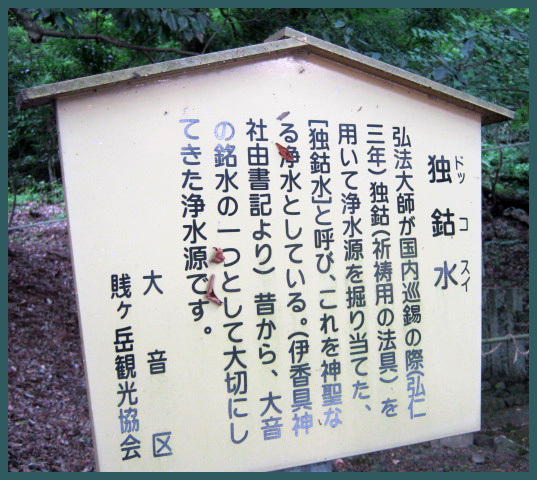 There is also a well (Akai 閼伽井) where Kobo Daishi had hit with his 独鈷 Tokko to produce healing water for eye diseases. In former times there was no well in the region, but then came Kobo Daishi, hit the ground with his 独鈷 Tokko and produced water for all in the village. In some parts of the waterways there are now snakes.
. Dokkosan 独鈷山, Kaburaiji 鏑射寺 Kaburai-Ji . Dokko Mizu no Ido 独鈷水の井戸 Kukai Kobo Daishi passed here and dug the well.
. Ookuboji　大窪寺　Okubo-Ji . The last one of the 88 Henro Pilgrimage. When Kobo Daishi passed here, he hit a rock with his 唐伝来の独鈷 Tokko from China and indeed, fresh water came forth. Yokoku Kannon no O-koozui 柳谷観音の独鈷水（おこうずい）"Vajra Water"
. 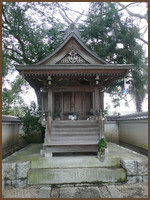 Yookokuji 楊谷寺 Yokoku-Ji . 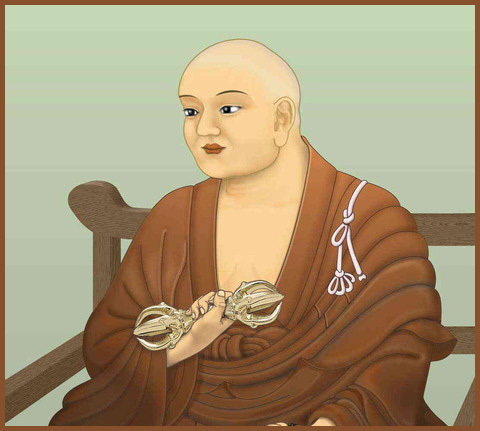 On his way to China, Kukai Kobo Daishi's boat was in great distress and he mad a vow to carve a statue of Kannon with Thousand Arms, if he could return safely to Japan. On the way back he threw his vajra scepter 独鈷 Tokko (Dokko) in the air praying for a place to start his new temple in Japan. Back in Japan he stayed some time at the shrine 春日大社 Kasuga Taisha. The Deity 春日明神 Kasuga Myojin revealed to him that the Tokko had stopped in 丹波国山内庄 Tanba, so he should go there fast and carve the Kannon with 1000 Arms, then the Deity would show him the way. When Kobo Daishi came to the Tamba region a white deer (messenger of the Kasuga Deity) and showed him the way to the valley. There hang his Tokko in the branches of a pine tree and light shone far and wide. So without delay he carved the Kannon and founded this temple. This is how it got its name. The Tokko then took off to reach Mount Koyasan (see below). The Kannon with 1000 Arms of this temple cures eye diseases. The water of the temple well can be used to wash an eye disease away. It is called O-Koozui お香水 O-Kozui, fragrant water. This cure is especially powerful on the 17th of April and July, when a visit to the temple will count as 1000 days visiting 千日参 sennichi mairi. Once there was a sparkling light every night in this region, maybe the spook of a fox or tanuki badger, the farmers were worried and one of them shot an arrow in the direction. He felt a hit and went looking. The found the arrow and a bloody trail to the temple Senju-Ji, where he saw that the left eye of the Kannon Statue was bleeding. He pulled the arrow out of her eye and made a vow never to use bow and arrow again. Soon after this the spring of the "Fragrant Water" begun flowing in the temple compound, healing all kinds of eye disease.
. ganbyoo chiyu kigan 眼病治癒祈願 prayer for healing of eye disease .
. senju Kannon 千手観音 Kannon Bosatsu with 1000 arms . when Kukai Kobo Daishi passed there. to house a special bronze statue of a Kannon with 1000 Arms. Kooboo shimizu 弘法清水 "Fresh Water from Kobo Daishi"
In former times the area around Sendai had very poor water distribution. Once Kobo Daishi passed here and asked an old woman in a poor farmhouse for a drink. The woman had to walk quite a way to fetch some water for the monk. He was very greatful for her deed and produced a spring beside her home. But now it has dried out. A young priest was studying an Mount Tokkosan, and a beautiful girl came to visit him regularly. But he became suspicious and followed her to the riverside 鞍ケ淵, where she turned into a 大蛇 huge serpent (other sources quite a dragon). In due time the serpent gave birth to a boy and died. Koizumi Kotaro. The boy grew up to be a strong warrior. A novel, manga and movie telling his story. CLICK for more photos and toys with Kotaro ! Similar legend from 千曲（ちくま）の湖 the lake Chikuma in 信濃 Shinano. Oitsuki no Mori 追付の森 "Forest of Pursuit"
Oitsuki Daimyoojin 追付大明神 Oitsuki Daimyoji. Kobo Daishi produced a spring with clear water. It is a special water source to our day. Hitting the rocks with his tokko 独鈷 Vajra, Kobo Daishi produced a hot spring to heal all kinds of illnesses, Tokko no yu 独鈷の湯 Tokko Hot Spring.
. Meguro Fudo Myo-O 目黒不動 . Ennin hit the ground with his Tokko and produced a spring with fresh water. Parents of a child which was very ill prayed to Kukai for help. So he hit the ground with his tokko 独鈷 Vajra and a well begun flowing out with healing water. It flew all the way to Mount Koyasan. Part of the story has been told above, at Kyoto, Mount Tokonage-San, Senju-Ji . To our day it has some pine needles with three needles. Two dogs let Kobo Daishi to the right place, sent by the deity 丹生都比売神 or 狩場明神.
. Koya San in Wakayama 高野山　和歌山県 . On returning to Japan, Kobo Daishi Kukai looked for the sankosho and finally found it hanging on a pine tree in Koyasan in the year 816. 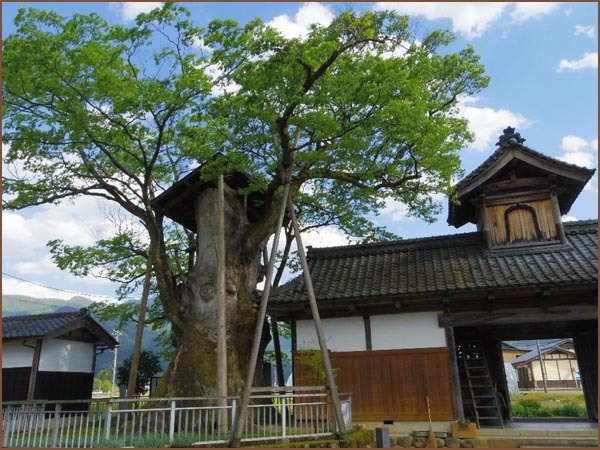 After more than 1,200 years, the pine tree is still revered by monks and visited by many tourists daily.
. Persons of the Heian Period (794 to 1185) . 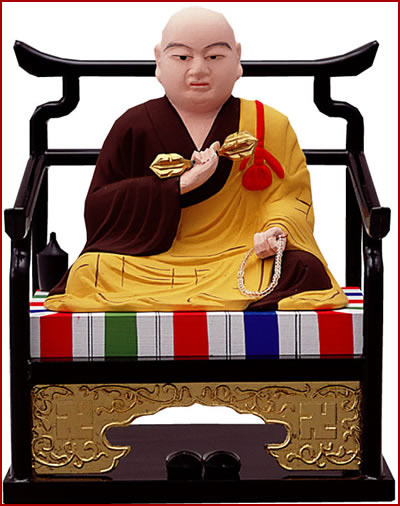 a legendary figure of early ninth-century Japan associated with Kūkai and the Shikoku Henro 88 temple pilgrimage. A mendicant visited the house of Emon Saburō, richest man in Shikoku, seeking alms. Emon refused, broke the pilgrim's begging bowl, and chased him away with a broom. After his eight sons fell ill and died, Emon realized that Kūkai was the affronted pilgrim and set out to seek his forgiveness. Having travelled round the island twenty times clockwise in vain, he undertook the route in reverse. Finally he collapsed exhausted and on his deathbed Kūkai appeared to grant absolution. 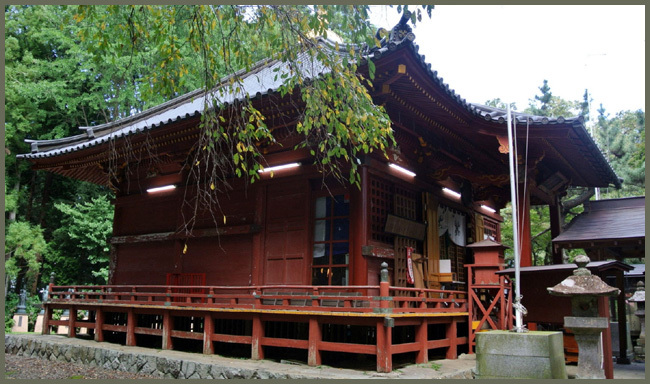 Emon requested that he be reborn into a wealthy family in Matsuyama so that he might restore a neglected temple. Dying, he clasped a stone. Shortly afterwards a baby was born with his hand grasped tightly around a stone inscribed "Emon Saburō is reborn." - - - This is the rock (5.4cm). - At Temple 51. When the baby grew up, he used his wealth to restore the Ishite-ji (石手寺) or "stone-hand temple", in which there is an inscription of 1567 recounting the tale. 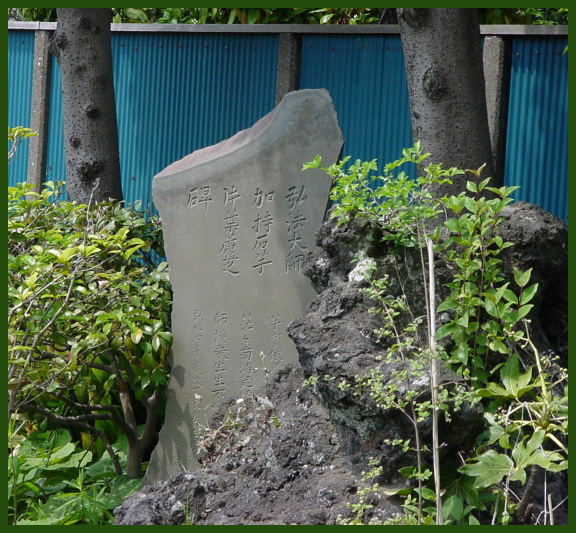 Emon Saburo's grave is beside the path between Temple 11 and Temple 12, at the spot where he fell. Near Temple 46 there is a burial mound said to contain his eight sons. At Ishite-ji there is a casket containing the eponymous stone. it encourages the custom of osettai or alms; suggests wealth should be spent endowing temples; gives an origin for the practice of reverse circuits of the island; and promises absolution for pilgrims.
. Ishiteji 石手寺 Ishite-Ji . located between Temple 87 and 88 in Kagawa prefecture.